Thinking about selling your house? – then don’t miss out on this offer. 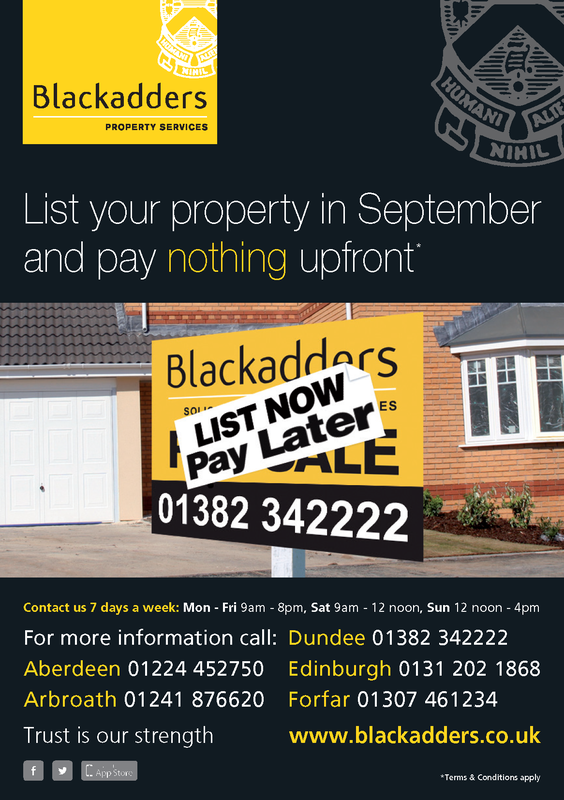 During the month of September, Blackadders will list your property for sale without any upfront costs, that’s right NO upfront costs. To find out more call 01382 342222 or email enquiries@blackadders.co.uk. I have a property I wish to sell in Shelly Gardens, Dundee and would like your company to advertise. Please advice the procedure and costs, I have a home report but is now nearly one year old. Scott, please get in touch with our property team on 01382 342222 and they will be able to assist you. Thanks!